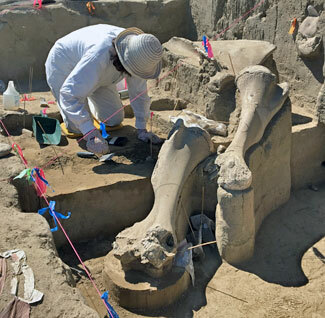 By the end of the 2016 dig season, a total of 97 mammoth bones and bone fragments had been recovered from the site. 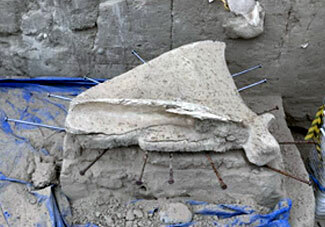 The left scapula, first partially exposed in 2008, was encased in a plaster jacket and removed on September 18, 2016. 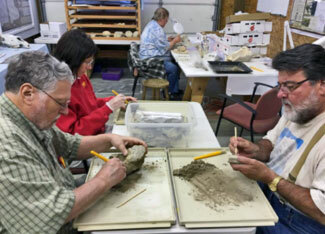 In addition to the mammoth bones, a number of exotic (non-indigenous) cobble to very coarse pebble size rock fragment clasts (ice-rafted erratics) were recovered next to, and in places intermixed with, the bones. 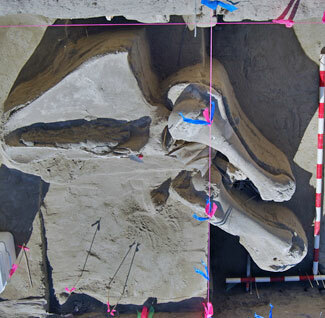 The near-articulated position of a humerus and scapula, suggest that soft tissue held at least part of the mammoth carcass together during burial. 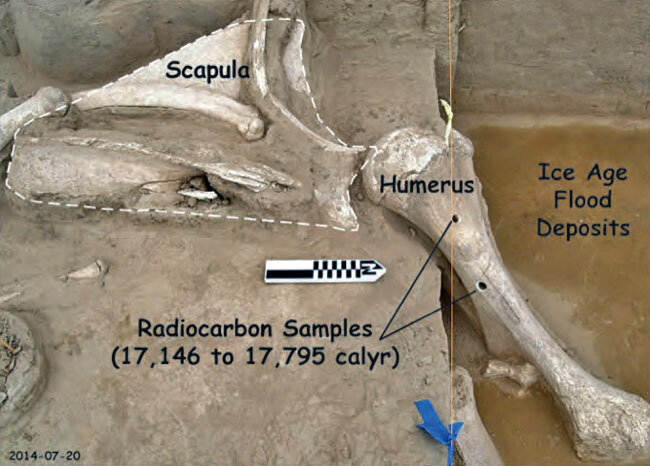 Radiocarbon dating of two samples from the humerus suggest a time of death for the mammoth of about 17,450 years ago (Barton, Last, and Kleinknecht, 2012). [Left Photo] Left scapula and two humeri during preparations for detailed bone mapping, and extraction of the right humerus (bottom right of photo). 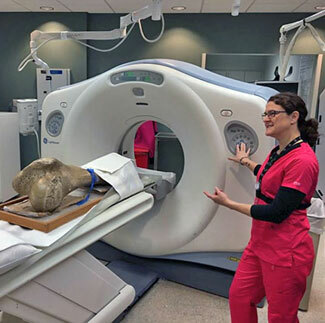 [Right Photo] Preparation of the right humerus for extraction. 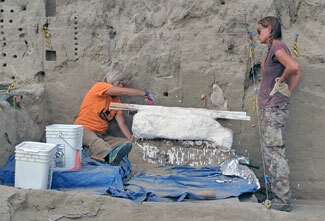 Note also the left humerus and left scapula as well as a vertebra (top right of photo) in the excavation wall. 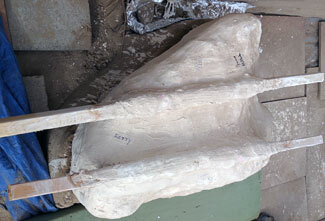 The left scapula being plaster jacketed and readied for removal and shipment. 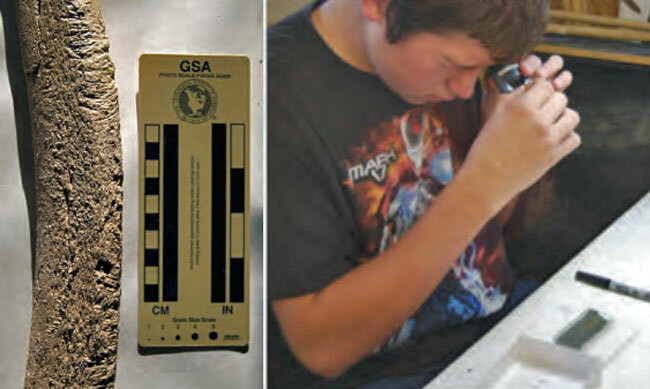 A study of gnaw marks by Sam Wahl and Bax Barton, found that some of the bones had been gnawed on by at least three different species of rodents and at least one species of lagomorph (rabbit) (Wahl and Barton, 2013). 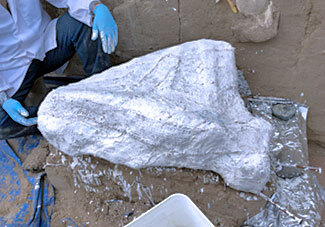 Weathering patterns also suggest that some of the bones laid at the surface some time before becoming buried. 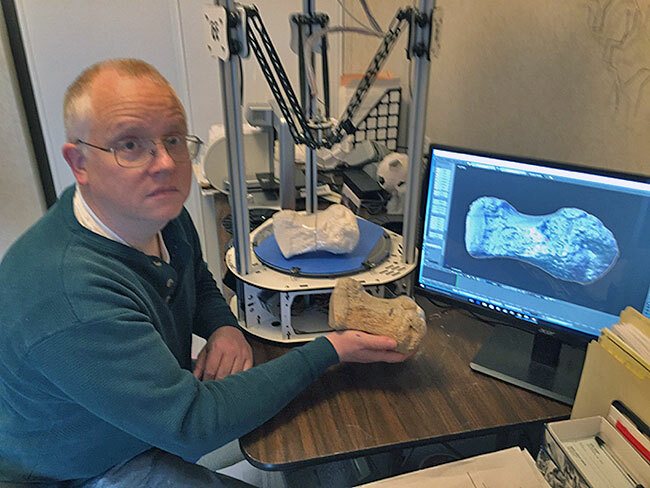 Morphometric analysis (the quantitative analysis of the form) of the lower right molar of the Coyote Canyon mammoth concluded that the mammoth is a Columbian Mammoth (Mammuthus columbi), the official fossil of Washington State (Barton and Kleinknecht 2015). 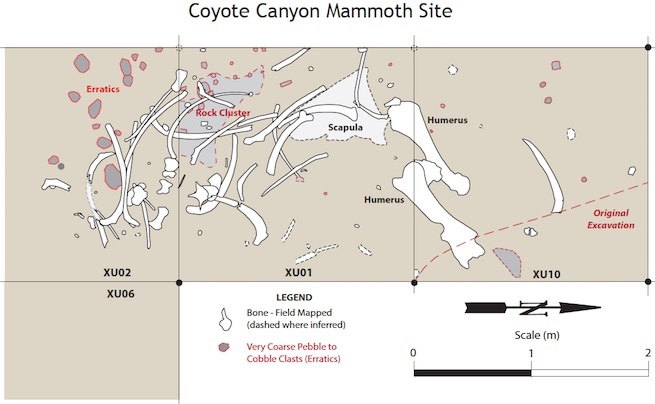 This analysis also concluded that the Coyote Canyon mammoth was between 40 to 43 years old when it died. 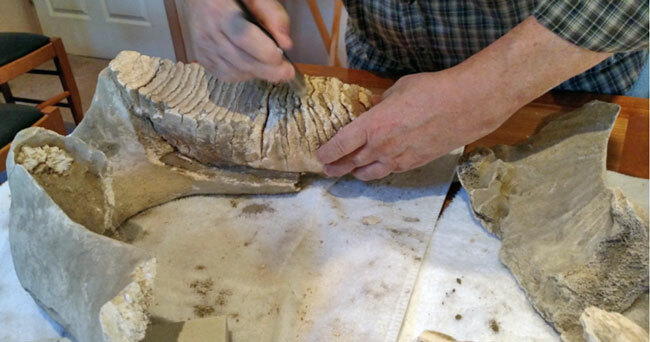 Efforts are underway to clean, preserve, reassemble, and document the many mammoth bones. 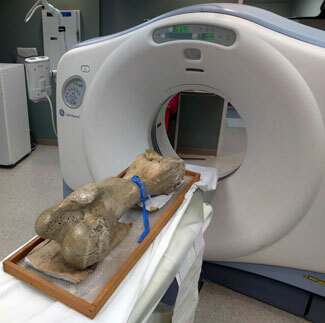 Volunteers at Kadlec Regional Medical Center in Richland, Washington have created digital images of a number of the bones using computed tomography (CT) technology. 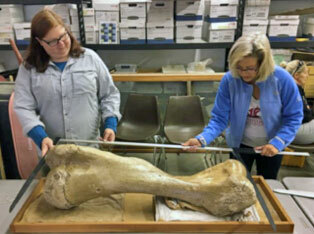 This has allowed development of three-dimensional (3D) computer models and 3D printing to create replicas of the mammoth bones that can be used for hands-on education.